TIQUE BASECOAT is used to adhere EPS Foam Board to a substrate in an adhesively attached system. It is also used in the application between Expanded Polystyrene Board (EPS Insulation Foam) and Finish Coat. Basecoat Adhesive is reinforced by embedding Fiberglass Mesh to add strength. 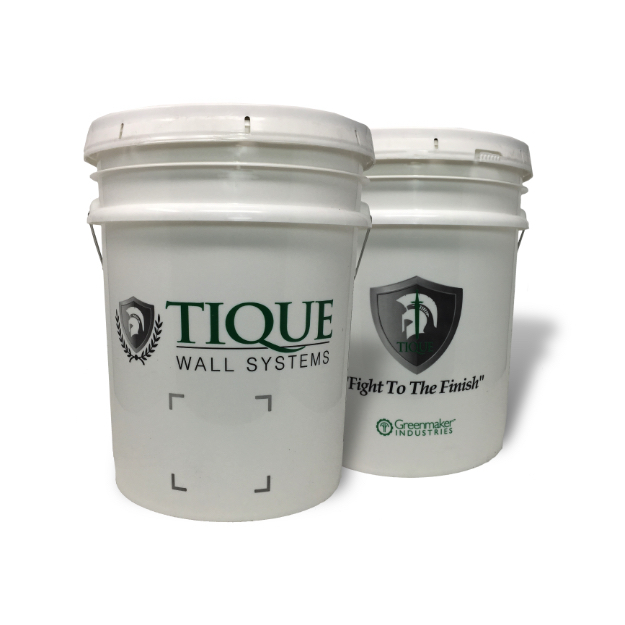 TIQUE BASECOAT is used in the EIFS/ CI application to adhere EPS Foam Board to a substrate in an adhesively attached system. It is also used in the application between Expanded Polystyrene Board (EPS Insulation Foam) and Finish Coat. Basecoat Adhesive is reinforced by embedding Fiberglass Mesh to add strength. EIFS DEPOT is proud to supply and distribute TIQUE Basecoat Adhesive, a high-performance, polymer-modified cement adhesive and basecoat. It is made with high-grade aggregates, cement, and polymers. TIQUE Quality Stucco Products are proudly manufactured in the USA by Greenmaker Industries with highest quality raw materials and are quality control tested to assure our customers get the best product available. TIQUE Wet Basecoat Adhesive should be thoroughly mixed with Portland CEM I 32.5 cement (without additives) in a weight ration of 1:1 using a slow speed mixer. The mixed product should be set aside for 5 minutes and then remixed with water added in order to achieve the appropriate consistency.